This fanedit reconstructs its namesake in favor of a more fitting origin. 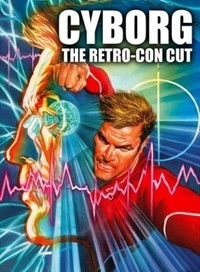 BionicBob has Retro-con Steve Austin’s bionic origin so it fits better with the television continuity. 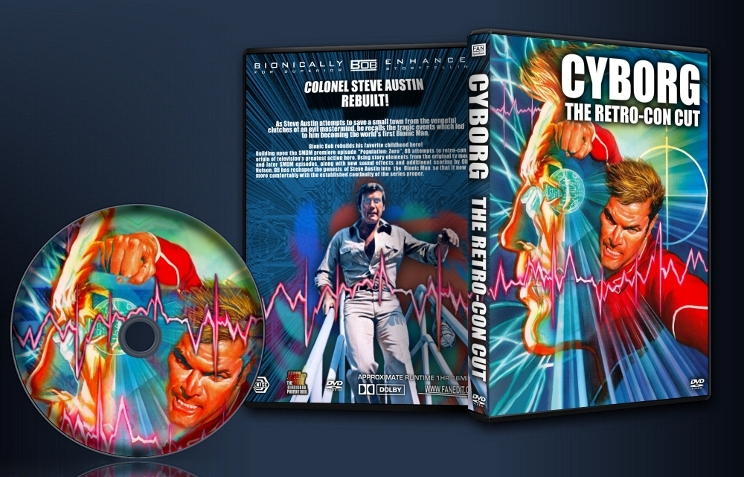 Retro-con Steve Austin’s bionic origin so it fits better with the television continuity. My absolute favorite hero of my childhood was THE SIX MILLION DOLLAR MAN. For me, it was a comic book come to life before my very young eyes. Each week I would watch Colonel Steve Austin do battle with spys, evil masterminds, robots, aliens and even a bionic sasquatch! It is in my mind, one of the greatest adventure televisions shows of all time. It would be years later that I would finally watch the original trilogy of tv movies that inspired the regular series. To my surprise, there were many discrepancies and outright contradictions between the movies and the series proper. The main ones being no Oscar Goldman, different actor playing Dr. Rudy Wells, Steve as a civilian test pilot and how Steve was written (as a bionic James Bond) in the second and third movies. My intent is to try and reconcile some of these elements from the tv movies with the established continuity of the television series. Using the season one premiere episode “Population: Zero” as my foundation, I have created a series of flashback scenes which retro-con Steve’s bionic origin. This was a great edit. I really liked the opening black screen with the sounds of the launch and subsequent crash while the credits were happening. It was slightly disappointing to then open with the motorcycle cop, but we quickly got to Steve and his backstory. The flashbacks work very very well, though in my mind, everytime we got the eye close-up my brain reverted to my much younger self and mentally made the sound "buppabuppabuppabuppabuppa..."
When an edit is done this well, there is little to say. Any issues were with the somewhat cheap production of the original TV show, or some of the somewhat bad acting and casting. Or the not-very-attractive love interest. I'm glad Jamie Sommers is soon on the way; Steve could do a lot better than that doctor. And who on earth cast the backwoods cop from Live and Let Die as a NASA employee? I would not trust that guy around rockets. All I can say is -- Well done! And highly recommended, particularly for those who grew up watching this show. Quick addendum--I had not watched the 13 minute bonus of The Lost Mission when I reviewed the movie. I just corrected that and it was awesome! The music was especially cool. I love that the mission seems to be "grab the hot girl and run away!" despite whatever Goldman states earlier. 13 minutes of pure fun! Lots of button-pushing and wire re-arranging too. Also, one of Steve hidden bionic powers is the ability to pass people ahead of him while climbing up a ladder! This short gets 10's across the board for me and an 11 for pure enjoyment. (I didn't realize how much this show had been deeply ingrained in my psyche until the real TV show opening credits started and I spoke every line in unison with Goldman. "Gentlemen, we can rebuild him...."
This was a great edit. BionicBob has grown stronger as an editor and it really shows with his Cyborg edits.